Generally pets are adored by their owners. However, everyday I see animals let down by the people who care for them. This, usually, isn’t done deliberately but mistakes can cost pets their health and, sometimes, their lives. At work have to bite my tongue and do the best I can in the circumstances but here, I can rant away! Then why do you not bring your pet to the vet? Some owners take huge pride in ‘never’ taking their pet to the vet, as if this is proof of the great care they give them in and also, by inference, how ‘unnecessary’ regular check-ups are. By the time the poor creature does make an appearance it’s usually emaciated, so dehydrated it resembles a stiff dishcloth with mouth full of tombstones and well beyond my help. Our pets are excellent at hiding pain and illness and very few owners are able to give them a proper examination. Do you listen to your animal’s heart? When was the last time you checked their teeth? Many people grumble about regular vet checks but they are vital to keep your pets in good health. Visiting just once a year for vaccinations is the equivalent of a person only seeing a doctor every 7 years and think how much could change in that time, especially as you get older. When I see these animals, whose owners love them but have let them down, I refrain, out of politeness and professionalism, from pointing out that those regular checks could have saved them from years of pain and discomfort but really I want to scream and shake them. So, please, do your pet’s a favour and ensure they seen regularly by their vet. 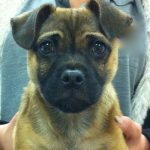 An annual vaccine will always include a health check but even if you chose not to have them for your pet (now there’s a whole other blog! ), you should take them down for an examination anyway. And there’s a fantastic irony; because the anti-vaccination brigade, who love their pets so much they refuse to allow them to have those horrible, dangerous, poisonous jabs, don’t get a regular reminder for health checks, they often aren’t seen by a vet for years, which is potentially far more damaging than the (perfectly safe and life saving) vaccinations! 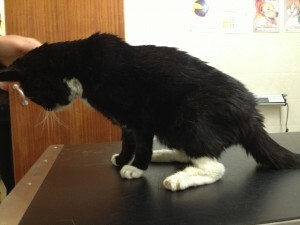 Leaving your elderly cat until it looks like this before you bring it into the vets is nothing to be proud of. Then why have you only got one rabbit? Rabbits are highly social creatures, in the wild they live in huge groups in large warrens. So why do so many people think it is acceptable to keep a single bunny all alone in a shoebox sized hutch at the bottom of the garden? It isn’t. It’s cruel. If this is you, get some good advice on how to bond rabbits and go and buy (or even better, rescue) another one. 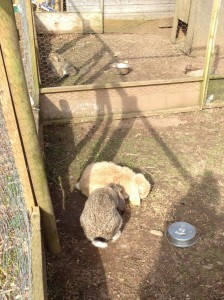 These rabbits have an ideal life, they live in a bonded pair, outdoors with plenty of space. Sadly, they are in the minority. 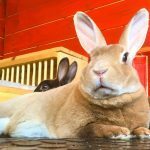 If you live in the Midlands and want advice on bonding bunnies or would like to rescue one, I highly recommend you contact the fabulous Fat Fluffs! Then why have you got a houseful of cats? The sterotype of the ‘crazy cat lady’ is alive and well along the length and breadth of this country. However, what is often missed is that most of the poor cats in these houses are also slowly going mad. Cats are solitary creatures and hate to share anything, especially territory. A related pair can probably live together in relative harmony but a houseful (or three or more) of individual animals (often rescued by a kind hearted owner keen to do the right thing) will usually be under huge amounts of stress. However, because cats internalise their feelings, they often appear normal but stress regularly manifests in physical diseases such as cystitis and over-grooming and behavioural problems like urine spraying. Certainly, it is true the rescues are full to bursting and thousands of cats are desperate for homes but bunging them all together in a tiny 3 bed semi is not the answer. Then why can’t you control your dog? The thing is, a poorly trained dog is an unhappy one. Like children they thrive in an environment with firm, consistent boundaries and most breeds have been bred to be trained and worked, so it is in their nature. Clearly, this doesn’t preclude spoiling them or loving them but if you don’t train them, you don’t do them any favours. Teach commands, keep clear consistant rules and boundries, learn a good recall (another pet hate of mine, the dog that never runs off the lead!) and buy a halti! Then why have you never looked in your pet’s mouth? Every single day I look into mouths that are encrusted with tartar, red raw with gingivitis and have a smell that could knock you out. And every day when I point this out to pet owners they claim complete ignorance. ‘But he’s still eating, so I didn’t think there was a problem.’ Gaaaa! Two thirds of pets will have dental disease by the time they are 3 and it only gets worse from there. 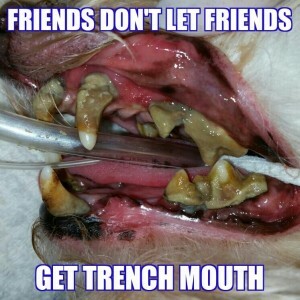 It is painful (and yes, they will still eat, their appetite means nothing) and infections that start in the mouth can easily spread to the rest of the body. So, one of the best things you can do for your pet’s health is to check their mouths regularly (all the teeth, even the ones at the very back!) and put some sort of cleaning regime in place. 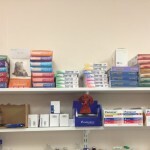 Brushing is best but there are also chews, biscuits, pastes and powders, so there really is no excuse! Why is your dog in a handbag? Put. It. On. The. Floor. It is a dog. Not an accessory. It has legs. Let it use them. Sure little Fifi looks cute in a handbag but your little darling will likely be confused, unhappy, spoiled and, very probably, snappy. All of which, ironically, makes her a much less pleasant pet than if her feet were allow to hit the floor. Genuinely bad owners are few and far between and not everyone can be an expert in pet care, and nor do I expect them to be. However, mistakes can be made in ignorance and the problem is, your pets are usually too polite to let you know! ← Puppy Farms – Who is Really to Blame?